My past career choices have ranged from the ordinary to the not so ordinary, but few have been truly creative until now. I'm not really an artist, but I like to try it out, and, although I like to cook, cooking hasn’t quite got the answer for me creatively. But, when I started making some lifestyle changes some years ago, I started to move away from corporations and major retail companies. I tried to find ways of living a cleaner and more sustainable life where I found out how to be more independent and self-sufficient - well, as much as one can in the western world. This is when I discovered soap making and it quickly became clear that it ticked a whole lot of boxes for me. 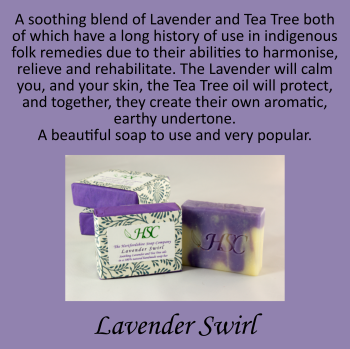 It is creative and expressive, it makes ecological and financial sense for local communities to make their own soap. It’s quite artistic and requires good organisational skills and the attention to detail that I really enjoy. Like cooking, it follows guidelines that can’t be changed, but within those guidelines are freedoms to experiment and create wonderful looking and wonderful smelling soaps that can create sensations that are often really quite sensual. My hobby quickly began to take over and before long it was consuming me. Then in November 2014, I thought, if this is ever going to work, I will have to leave full time work and give it a go. So here I am with a new web shop at Etsy.co.uk and some bars of soap that I like very much with an intention to carry on creating soaps that I love and adore. I hope you will love them too! If you buy a soap bar from me I truly thank you for being a part of this new and wonderful chapter in my life because for me, soap is a clean break (no pun intended) from my past and an exciting step into the future. 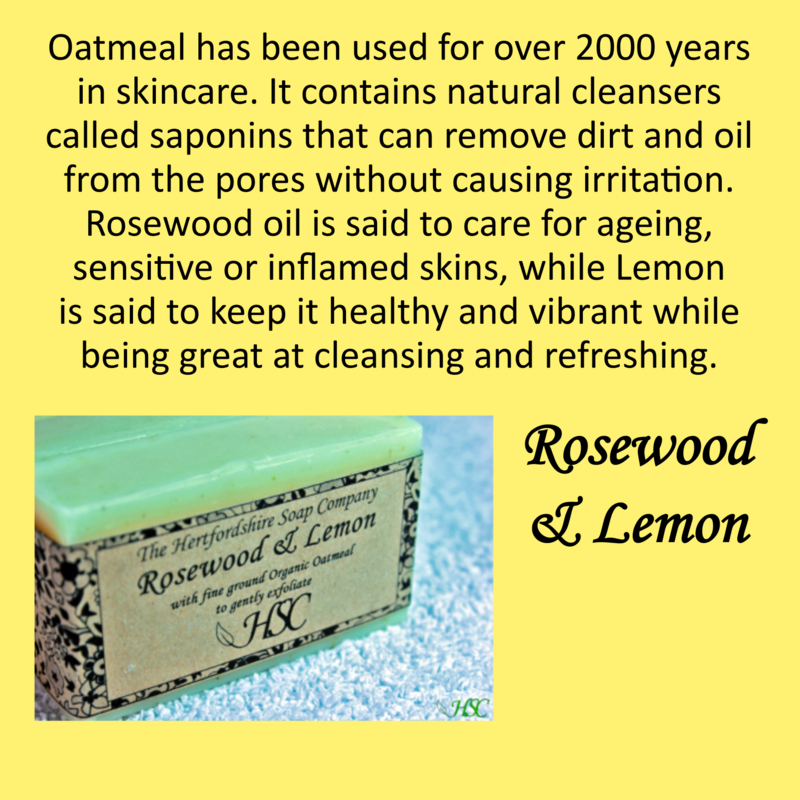 The benefits of natural soap are immense and diverse so join me in the soap revolution! 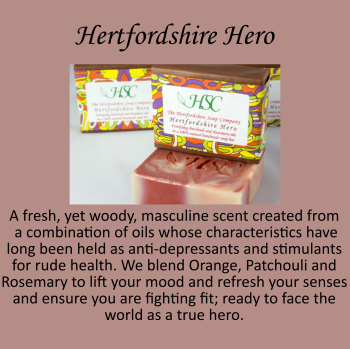 You can also connect with me and the Hertfordshire Soap Company on Facebook and Twitter. You will find offers from me and a voucher to get £5 off your very first Etsy purchase! The first six bars I have designed are detailed here with links to the relevant pages where you can purchase them. 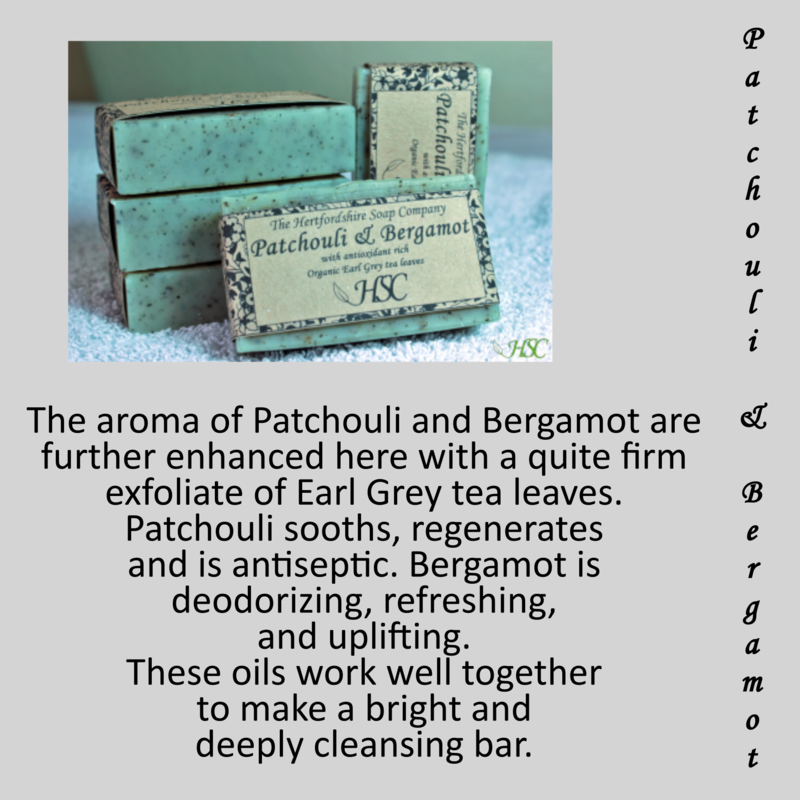 The recipe I use for these bars creates a pure and natural soap that is made with a luxury blend of oils and butters that give a wonderfully rich lather. Along with the more traditional olive and coconut oils we include Cocoa butter and Shea butter with Hemp oil, all of which are deeply conditioning and very kind to skin. 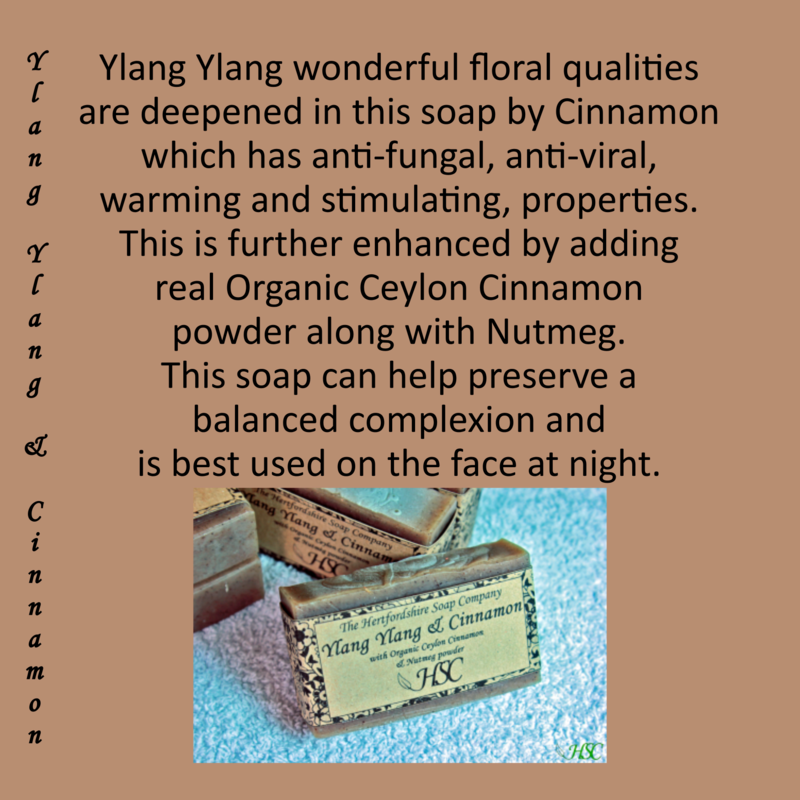 This soap is a great all round performer. 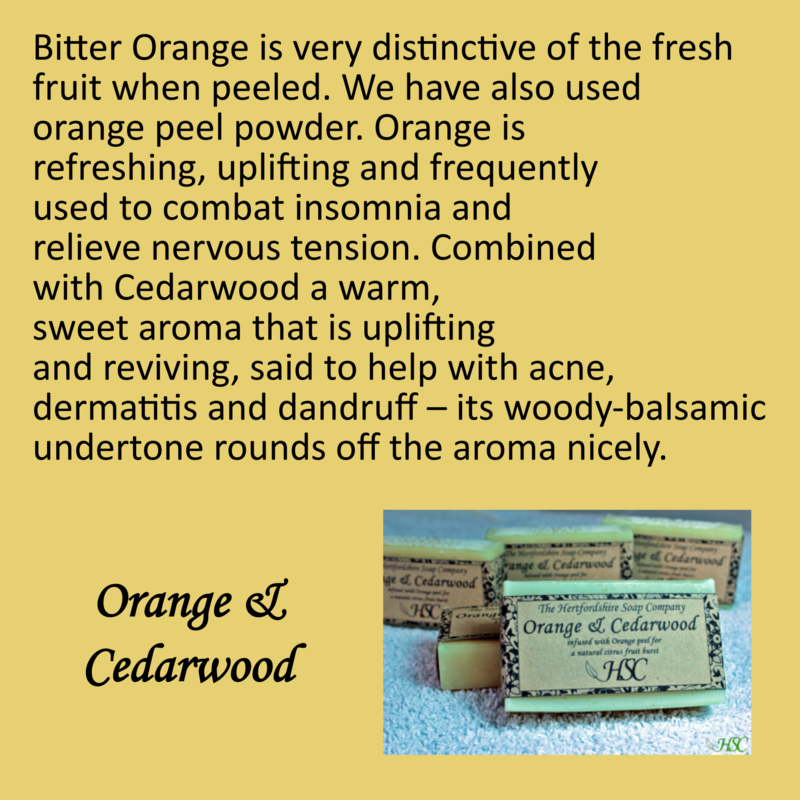 While being caring and gentle, it is formulated to be a nice firm bar which lasts well in the bath or shower - its rich lather is great for shaving too and builds up easily to give a great clean as well as leaving the skin feeling soft. 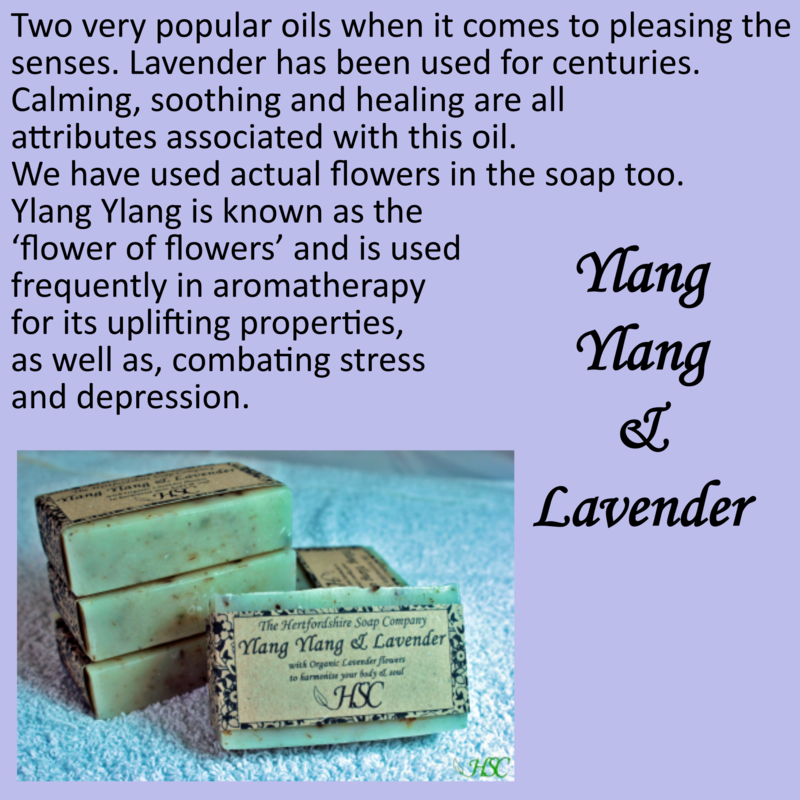 There is also no ‘drying’ effect that can occur with some soaps made with inferior oils. There are no additives or preservatives apart from natural (vegetable based) Vitamin E which further nourishes skin and acts as an anti-oxidant for the ingredients in the bar, and the beautiful scents of essential oils to enhance your mood. 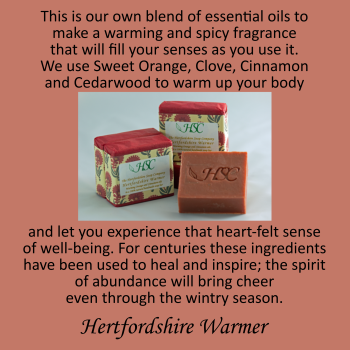 There is no Palm or Soy based oils in our Hertfordshire range. But these six each contain an additional ingredient or two, for example, Earl Grey tea leaves, Real Organic Ceylon Cinnamon powder, Organic Nettle and even Nutmeg powder. Each addition adds its own quality of colour, aroma and texture, which adds a whole new dimension to the soap. 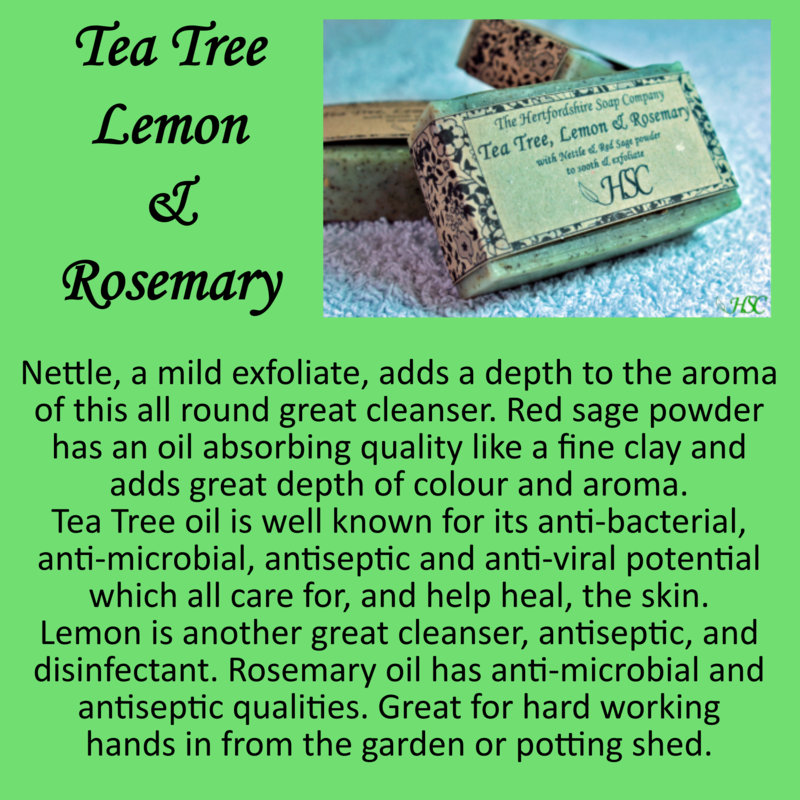 Deeply cleansing and wonderful to use!